Thanks to one of our readers for letting us know about this great idea. 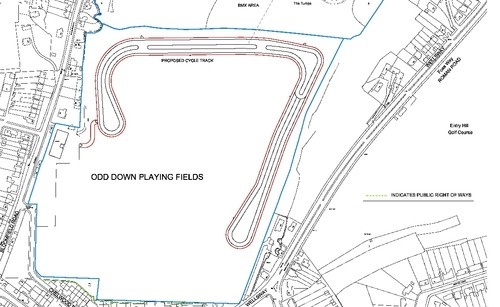 “Planning permission has been submitted for a purpose built 1.5km closed loop cycling track at Odd Down playing fields. The track is co-funded by British Cycling and Bath & North East Somerset Council and will be the only facility of its kind in the south west.” More information at Velo Walcot and the planning application can be found here.